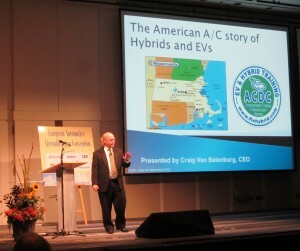 This class was developed for anyone that needs to incorporate HEV and EV owners into the mix. These customers have special needs and the shop that understands them will get all their car repair business. Thes people have other cars as well. They have money to spend. Craig travels the world and has written many articles for the media. Craig is also an AMI instructor and a shop owner for over 25 years. His management classes are unique and will hit the nail on the head. Want to make sense out of a crazy world? Craig can do that. Attending this class will help you sell service to any customer but this one is geared for the buyer of a used or new HEV or EV. These people make enough to spend a little extra buying a green car and they are fussy. Learn how to deal with them.